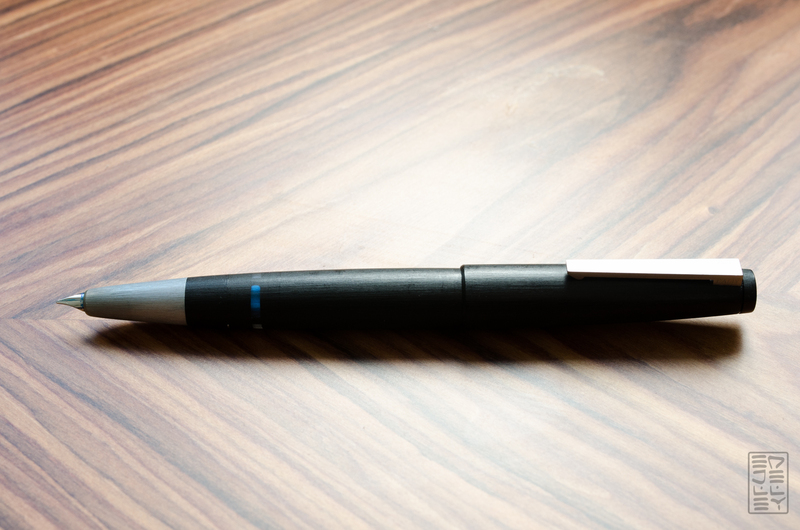 I’ve mentioned throughout the site that the Lamy 2000 is my favorite pen…and well, three years later it still is. The initial excitement over getting the pen has long since worn off. The purpose of these Review Reduxs is to show how a pen has held up over time, if I still enjoy it, how much use it gets, and if I’ve gotten my moneys worth. This is the first entry in an ongoing series, so check back regularly for more extended-use pen reviews! The 2000 has held up quite well over the last three years. The brushed Makrolon body does a reasonably well job of keeping scratches at bay, but it does show some scuffs. The matte finish has smoothed out a bit, being polished by my hand after constant use. The finish is still very much matte, but if you look at a new pen and a used pen side-by-side, there’s a noticeable difference. The clip has held up well, still springy as the day I got it. I’m happy with how the 2000’s appearance has aged. It shows some wear, but by no means looks thrashed. I haven’t been overly gentle with the pen, so it’s good to see that something used so regularly can continue to do so for several years. 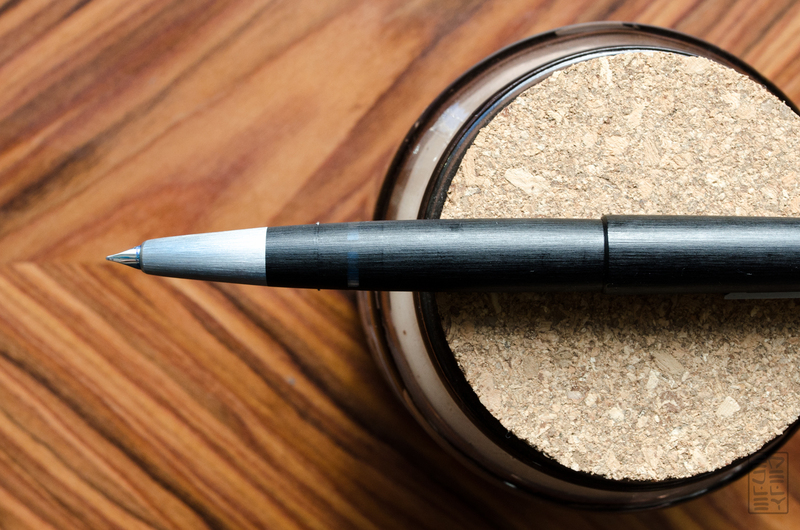 A common complaint about the Lamy 2000 is the nib. 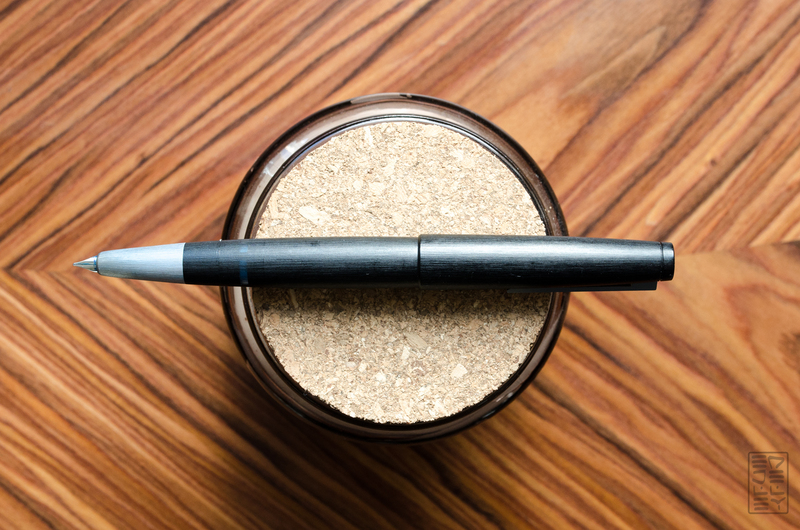 There’s a very apparently sweet spot, which can be easily confused for a scratchy nib. At first, the flow was a bit weak and the sweet spot was very small. I had the pen worked on by Richard Binder at the Long Island Pen Show, the pen is PERFECT. There are plenty of folks out there who work on nibs, so if you’re not happy with yours, it may be worth sending it out. The pen is easy to disassemble, making cleaning and maintenance easy. Every piece of the pen is either fitted with threads or friction-fit (feed/nib into the grip) and everything goes back into place easily. I’ve greased the piston barrel with a q-tip a few times, and it’s kept the knob turning smoothly with little to no effort. Worth noting, I’ve lost a piece of the pen during a cleaning in the past. There’s a small washer that has the two “ears” that keep the cap on, this piece is small and light, so it’s easily misplaced. A quick email to Lamy’s repair center, and a new one was on the way for $5. The pen is easy to maintain, parts are easily obtainable, and there really hasn’t been any consistent problems with it. The workhorse Lamy 2000 has really lived up to its nickname. The Lamy 2000 was on of the first pen over $100 I’ve added to my collection. It was a huge step into the hobby, and it’s never an easy purchase decision when making that jump. I was extremely excited when I got the pen, and I can honestly say that I still am. The understated and utilitarian design, solid performance, great reliability, and writing performance result in a daily-use pen that I’m still happy to pick up every time I to write. In the three years I’ve owned the pen, it’s barely gone un-inked. I’m still as excited to use it as I was when I first got it, which I’ve found to be rare in my collection. 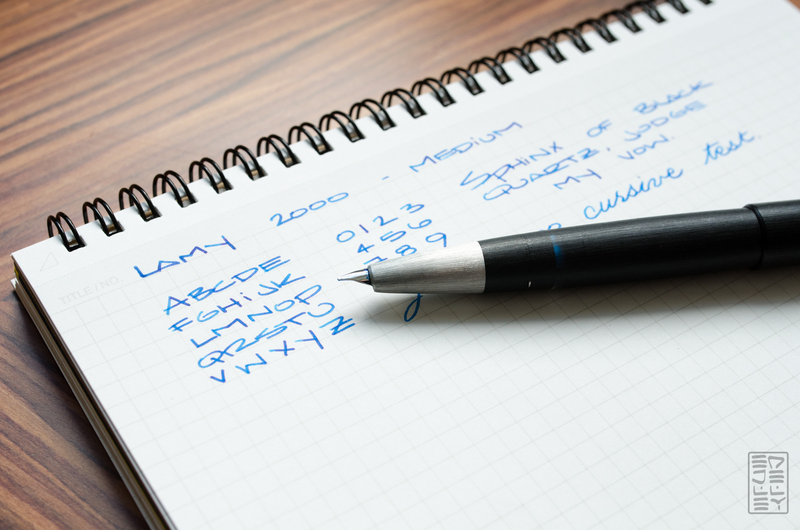 The Lamy 2000 has been in production since the 1960’s, and it’s gone relatively unchanged. There must be quite a few people out there who feel the same way I do to warrant this, and that’s a great sign. Absolutely. 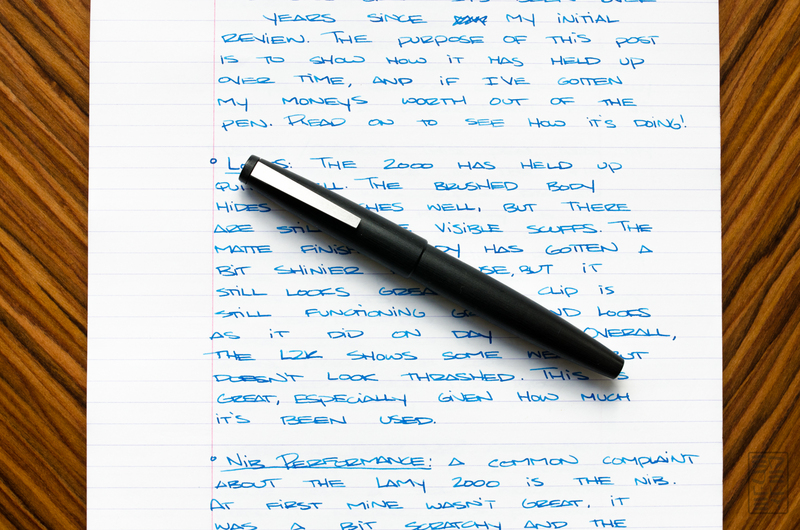 The Lamy 2000 is a great value for a solid, dependable workhorse fountain pen. It never gets pushed aside, and for me, it’s almost always in use. Several years later, I’m still just as excited to write with it as when I opened up the package for the first time. I’ve since purchased an all original 1960’s Lamy 2000 and a new Stainless Steel model as well. This particular 2000 was my first, and I doubt it will be my last! 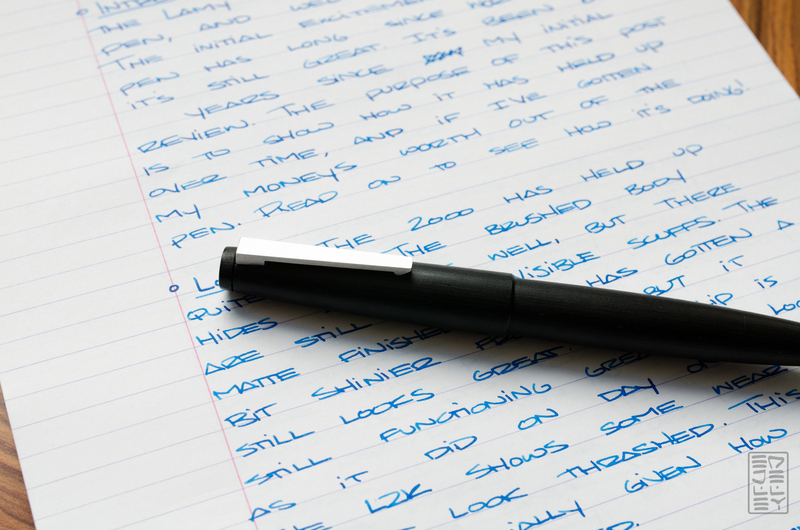 If you like what you’ve read, you can pick up your own Lamy 2000 through this affiliate link.  Any purchases made through this link help support the site and they’re much appreciated! Glad to see it’s lived up to your hopes for a high end pen when you bought it. What ink did you use for this review? I like your review style, Ed. Very authentic :). Would love to feature your reviews in our weekly curated email digest that goes out to thousands of people. This is a great idea. 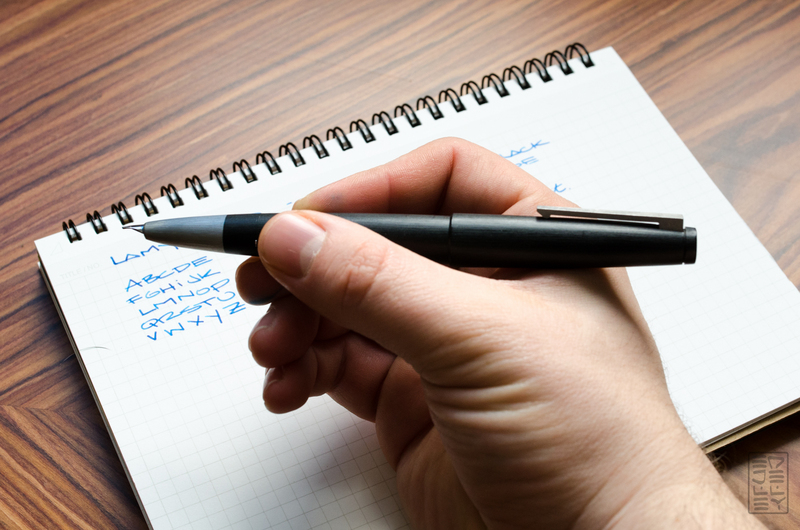 Once the initial excitement wears off it is worth thinking about which pens you actually use. I am currently in love with a total cheapo from a chain in the UK called Paperchase. The nib is perfect even if the body is really cheap plastic. I use it far more than all my more expensive and more beautiful pieces. I love the idea of a three-year progress check. This is a great idea. I love the idea of reviewing after the initial excitement has worn off. One of the great joys of this pen is the sensation of the cap reuniting with the pen, when those little lugs slide back into their groove. When I have my 2000 on active duty, I will sometimes take the cap off for no reason other than to put it on again. Of course, it’s great for writing, so sometimes the cap stays off for some minutes. If I were made to dispose of all but a half-dozen pens, this one would definitely stay in the house. …yes, playing with that L2k cap… happens to me all the time! Wow really? I hate the way the cap feels when sliding it back on – it feels like it’s running over sandpaper or something. The springy fingers inside the cap sliding over the matte/sanded surface is not particularly pleasant. I’m not a big fan of this pen – mine is an ‘F’ nib and the sweet spot drives me nuts. The hooded nib makes is tough to align the pen to the paper – I’m constantly frustrated by the skipping. I don’t think the nib is defective, it works very well if I hold the pen exactly right. But it’s not easy to do that due to the practically invisible nib. Great Review Ed! Thank you. I can say the same for both my Lamy 2000. They both developed a smoothness in the body and it just tells you that it’s a well-used pen. But it still looks great. It’s interesting to note that the Con from both if your review was about the ring/ears that hold the cap. Based on your review and my search for a “daily use” fountain pen I purchased the Lamy 2000 for my hubby to give me the pen for Christmas. True confession ~ I couldn’t wait to get some ink in the pen after it’s arrival ~ and, use it. I haven’t put the pen down and am now finding excuses to write with it. I. Love. It. Thank you for the excellent 3 year recap. Now, on the hunt for the perfect ink. Any recommendations are definitely appreciated. 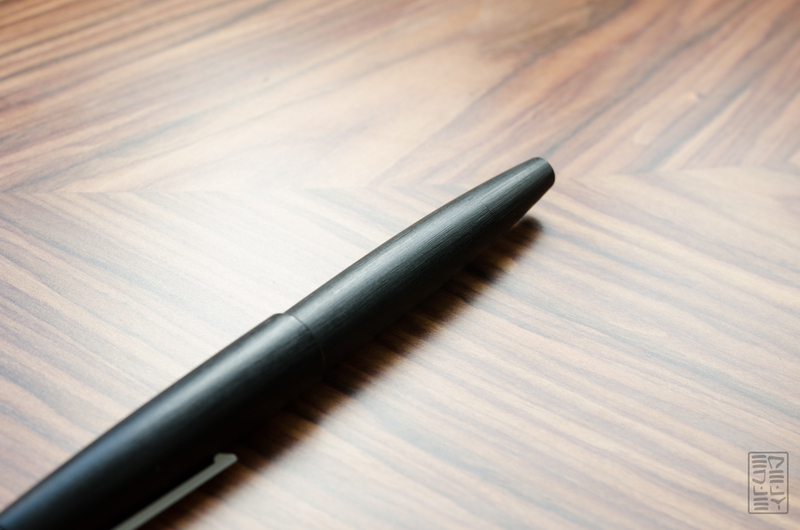 Pingback: Just another pen ? !Blick über den Tellerrand vom 12. December 2015 - Just another pen ?! Thanks to your review, my Lamy 2000 is out of storage and inked up after a long hiatus. It was my first $$ pen as well – and I think I was still figuring out that pens had things like sweet spots at the time. It’s nice to come back to this wonderful pen. I love the Makrolon feel. I picked PR DC Supershow Blue and that’s proving to be an excellent match. Thanks again for this essay on the eve of L2k’s 50th anniversary in 2016! Pingback: Sunday Inkings #37, and Merry Christmas! Great write up and honest review. I enjoyed my L2K for about two years before I accidentally lost it one day out and about. I was gutted, it’s a great pen and worthy of the praise it receives. Oh man, I would be SO mad if I lost mine. Must have been horrible! Just came across this post and I love it. I must agree with everything that was said, although I didn’t have any issues with my nib. 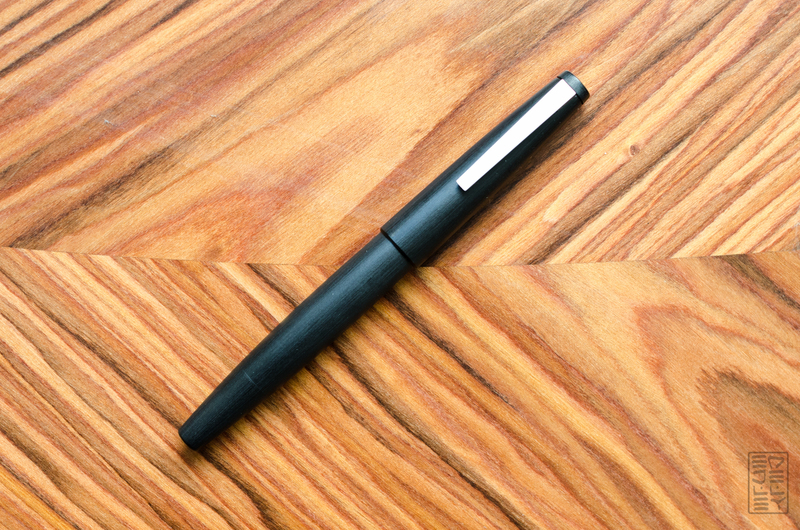 Until I got my Lamy 2000 as a gift from my wife, Lamy wasn’t really on my “radar.” But this pen changed everything. Lamy is now my favorite brand and I have several pens from them-all great writers and timeless design. Thank you!